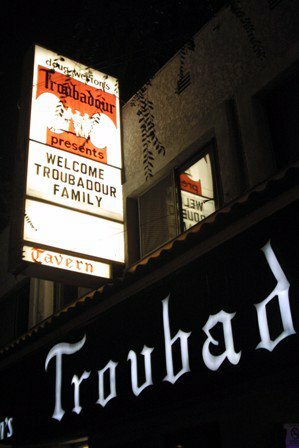 THE TROUBADOUR FAMILY REUNION…EXCLUSIVE PHOTOS…AND COMMENTS! 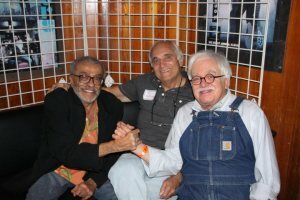 Photographer/ musician Henry Diltz Reminisced, “The Troubadour was my old stomping ground starting in 1962 when my folk group, The Modern Folk Quartet, played there 3 days after we arrived from Honolulu. We were signed to an agency and record company from that one performance. 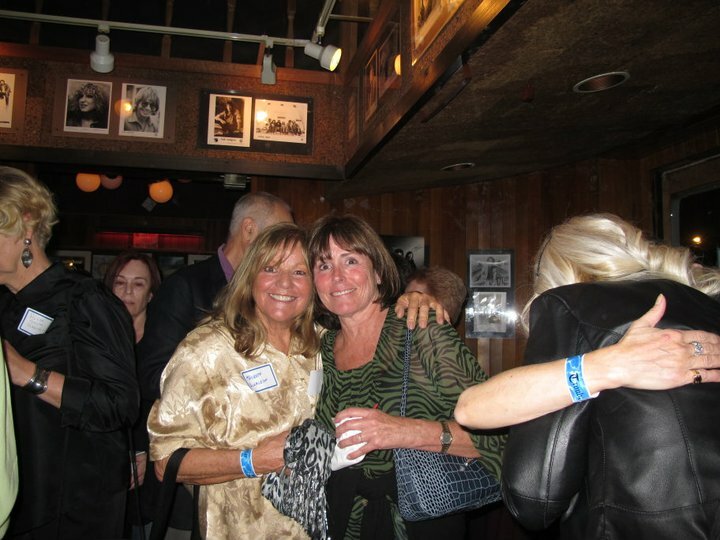 At the reunion the other night we were able to reconnect with many old and dear friends. We are all the same young age in our minds as we were those years ago, but now we look like our parents and grandparents. Many of us who were musicians went with the Troubadour waitresses back then, and I had a drink at the bar with my old girlfriend, Alexa, a former waitress. The live music at the reunion was epic stuff as Bob Lind, Van Dyke Parks, Jackson Browne, Rick Cuna, David Jackson, Michael McGuiness, Ruthann Friedman and others took the stage. Allan Rinde, former “underground tastemaker” and Chinese Restaurateur said, “Aside from seeing a few old friends I’d lost contact with and meeting some new ones, there was just this sense of energy at Doug Weston’s Troubadour (glad they kept his name on it) that made this evening a great success. Of course it all dissipated the next day when I realized that while I was having a good time at the good old Troub, Don Kirchner lay dying in a hospital in Boca Raton. Oh, the humanity! And one more thing: thank you Jackson for the tribute to Warren Zevon and for the love you put into your set that night. “It was one of the most amazing nights of my life! I have heard so much love and joy expressed about the success of this event and how beautifully it brought back a time in a place that was so brilliant in it’s day. 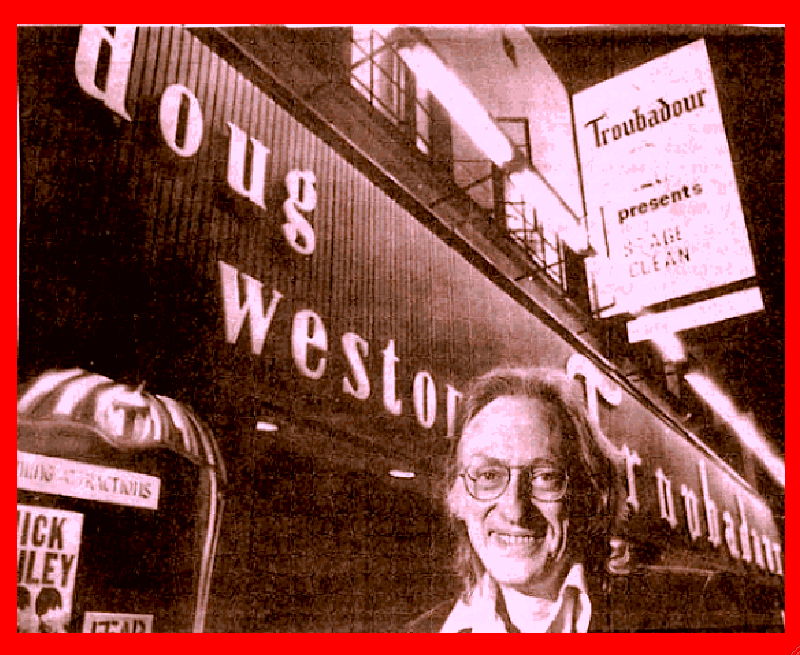 No place on earth ever rivaled what happened at Doug Weston’s Troubadour ever! How blessed we all have been to have been there then and then again last Monday night. Like most of us, I didn’t know what to expect from the Troubadour Family Reunion. But several people I knew would be coming — mostly people I saw fairly often, but an indication of quality. So at the very least it would be worthwhile on that level. As it turned out, of course, the thing had become a real event. I’ll name some of the people I knew; I’m sure others had the same experience with people they knew. Maureen Donaldson (shown with Sandee Lewis Ochs), bless her soul, had come in from England; she swears specifically for the event. 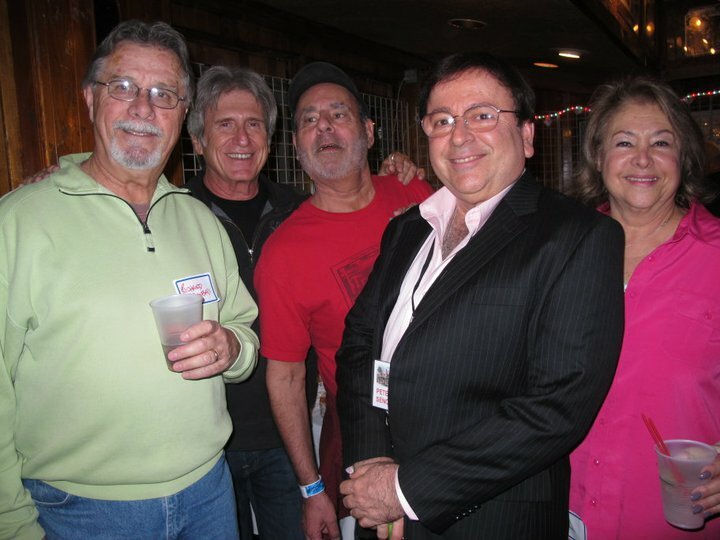 Matt Kramer had no other reason I know of for having returned to West Hollywood from wherever it is he’s living these days (Texas, I think), and former hoot master Roger Perry arrived from Oregon. 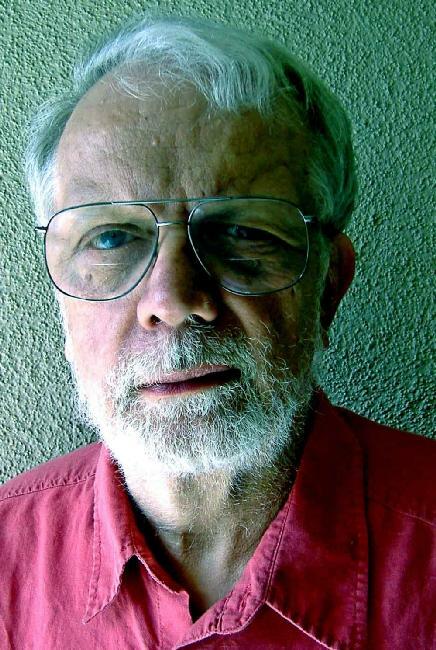 Artie Wayne, whom I sadly didn’t see this time, and Richard Kimball, whom I did, had come in from the desert. Michael Ochs took time from promoting the documentary about his late brother, and counting his own money. 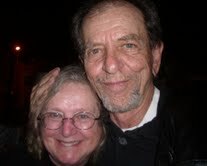 I knew it was the Troubadour bar, I told them, when the first faces I saw were Michael, and Alan Rinde. 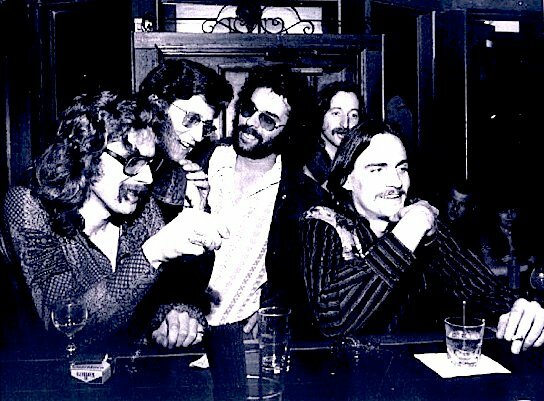 By the time I left – 11:30 or so – Alan, Artie and several others had already retreated to Genghis Cohen, the restaurant Alan had owned, and Artie named and hosted for however many years (has he ever mentioned that?). Though the layout of the main room has changed quite a bit — much larger stage; no tables; bar in the back — it was familiar enough that I might have been back in the ’70s, which was pretty much my era, though years earlier I’d driven 60 miles down the coast from Ventura to see acts including the Dillards (with Roger Miller opening), when the stage was still at what’s now the left-hand wall. I spent half an hour or so in the bar, meeting old pals and choking on a piece of cheese; when Lezlie asked for a glass of water for me, the guy behind our end of the bar said we’d have to go to the woman at the other end. If I’d died from asphyxiation, my survivors would stand to make a fortune! Oddly, when I recovered, he was able to sell me a drink without consulting the other bartender. Ah, the Troubadour! I’ll let others get into the acts – Van Dyke, Jackson, and so on; but will add that I was very impressed by two “second generation” groups, fronted by people whose parents had (in one case sort of) worked at the Troubadour. 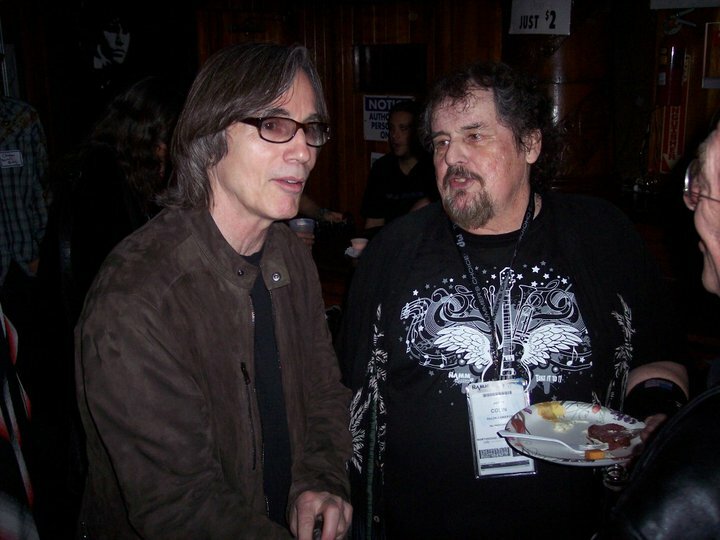 Paul Riopelle, whose mother Naomi was a long-time waitress at the club, was in a rock band called The Motion with Steven Wolfson and Dsvid Jenkins; the three members of Blackfire are all the progeny of Berta Benally, who was more of an Ash Grove person, really, but was right at home in this company. 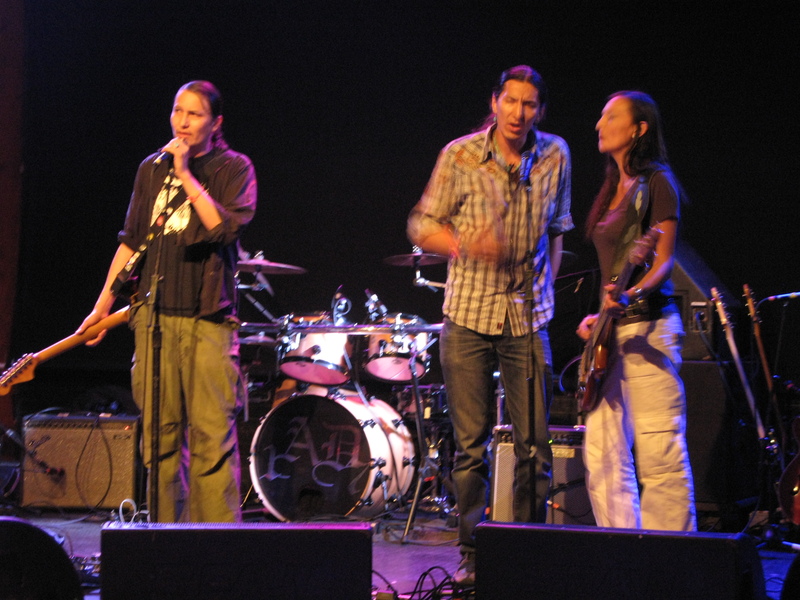 Native Americans of the Navajo nation, Blackfire is more “indian” than Redbone, and played a strong mix of contemporary, punk and traditional music. Had I a label (and everybody can be thankful I don’t), I’d sign them in a minute. As it stands, they already record; their more recent album produced by Ed Stasium, whose credits include the Ramones, Talking Heads and Smithereens. In other words, they need no help from me, even if I were in a position to give it to ‘em. One disappointment: three members of Hearts & Flowers were present: Larry Murray, Rick Cunha and David Jackson. But they didn’t see fit to reconvene, even though Jackson did back Cunha on a solo set, along with anybody else who needed a bass player. “In the early 70s, when I ran the professional dept. at Warner Brothers Music, part of my responsibility was to get cover records for David Geffen’s songwriter/artists. 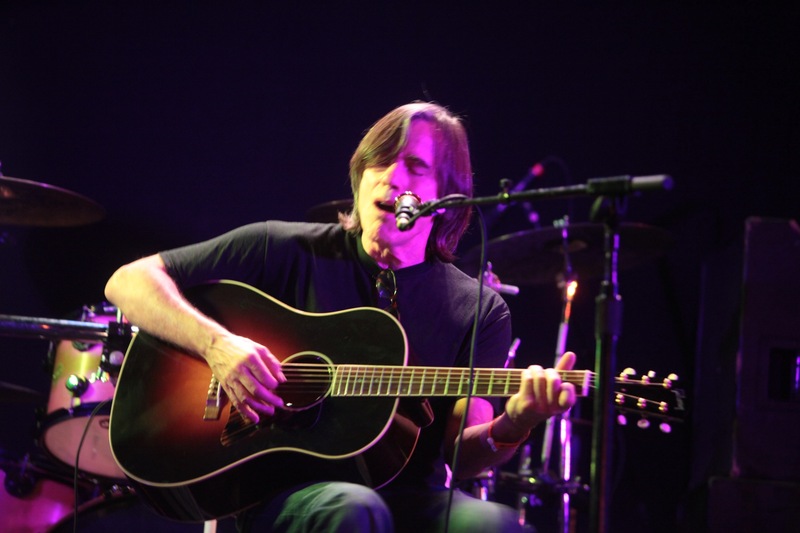 I just had a top ten record in the UK with Michael Jackson on Jackson Browne’s “Doctor my Eyes”…and Browne was excited for me to hear his freind Geffen just signed. After a Troubador show, Jackson took me over to the old Tropicana hotel on Santa Monica B’lvd, and introduced me to Warren Zevon. For the rest of the night, with his Pignose amp blasting, Warren mesmerized me with song after great song!! Although I tried for a couple of years, unfortunately, I wasn’t able to get any of his songs covered….probably because they were so ahead of their time.